Blog | tenfourart | the art of ten four technology – journeyman artist. Lets clay with fire IV- 2018 winter solstice firings. I FORGOT TO REGISTER FOR LET’S CLAY WITH FIRE IV……. First bisque firing – LCWF IV. The tactile nature of ceramics exudes from these harmony stones when held closely in the palm of the hand. Overlapping spirals sit in balance over a well of nurturing aroma. Fired by wood these forms absorb visually enriching gasious manifestations through colour surface. 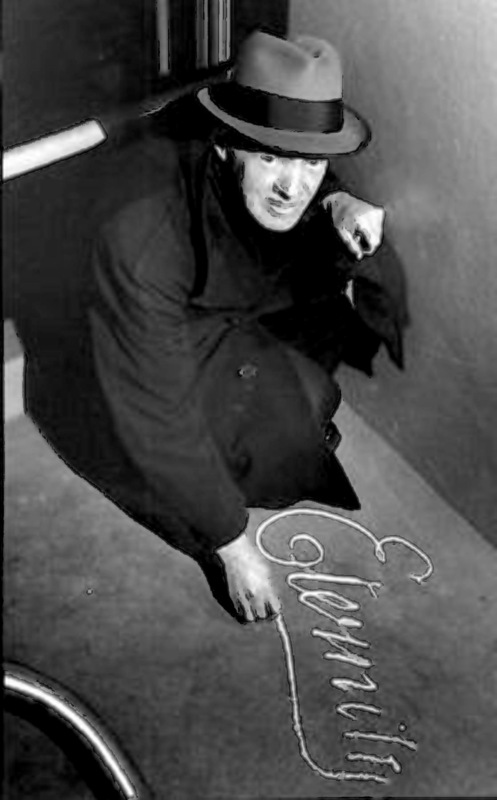 Arthur Malcolm Stace 1885 – 1967 was known around Redfern and the Sydney CBD as Mr Eternity. After serving in France in WW1 he went back to his old ways of alcohol abuse until he was helped by the inspiration of a preacher in August 1930 to become sober. Late at the Burton St Baptist Tabernacle he listen to John Ridley say he wished he could shout out the word “eternity” at Sydney. Arthur took this literally and began writing Eternity in chalk on the pavements of Kings Cross, Sydney CBD and out as far as Parramatta. He did this over 50 times a day and in his most productive times spent all his money on chalk. He was still around when I first started hanging around inner Sydney as a mid teen. I did see his chalkings but never got the full picture till much later. He fits my definition of artist………….